One of the first things any wedding planning checklist or book will tell you to do when planning your wedding is to set a budget. However, planning a wedding is not like buying a car or planning a vacation. The cost of each piece of the wedding isn’t something you can just look up to get an idea of what to expect to spend. We want to change this and help couples be as informed as possible when deciding how much to spend and how to allocate their budget. There are three aspects of a wedding that determine the cost: location, size, and style. A wedding in Massachusetts is going to be more expensive than one in Texas, and a wedding in the Dallas area will be more expensive than one that takes place in the Texoma area. 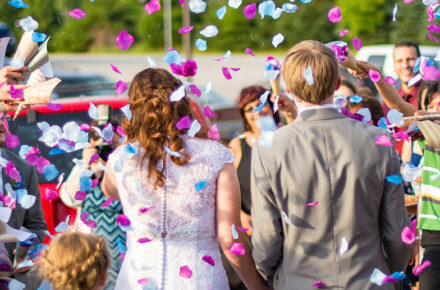 According to the Wedding Report, Texoma weddings held in 2018 cost an average of $19,570. There is additional information on the breakdown of this number on our website and in our magazine. The number of guests you invite, and the formality of the celebration, will also contribute to the cost of the wedding. 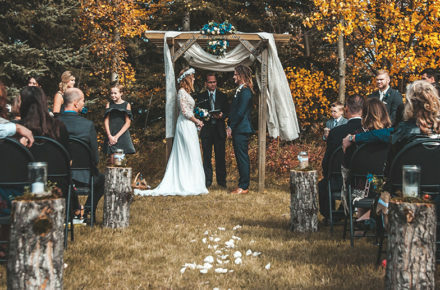 The larger your wedding, the more space you will need, the more chairs and tables you will have to rent, and the more mouths you will have to feed. A backyard wedding with simple flowers, buffet, and disposable plates and napkins will be less expensive than a formal affair in a ballroom with a plated dinner and rented linens. Your budget should be a range you would like to stay in, not a set number. Once you have an idea of how much you would like to spend, you should consider which aspects of the wedding are most important to you. That will allow you to allocate more money to those while saving on other areas. Don’t forget you’ll need to include the cost of your marriage license, wedding insurance, taxes, tips, and vendor gratuities in your budget as well! Don’t know where to start? Request our wedding budget and cost guide to help get you started!